Karamanlis was born on March 8, 1907, in Proti, a small Macedonian town. He had six younger siblings, and his father was a teacher and political activist. As a young man, Karamanlis earned a law degree from the University of Athens and practiced law for several years. Then, in 1935, he ran for a seat in the Greek Parliament. Karamanlis won that race, and he would be elected to the Parliament 11 more times. After serving as Konstantinos Tsaldaris’ labor minister in 1946, Karamanlis held several cabinet positions. In those roles, he tried to provide assistance to Greek industries that had been devastated by World War II, and he promoted the welfare of the nation’s refugees. 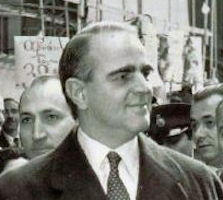 Karamanlis was Greece’s prime minister from 1955 to 1963 and from 1974 to 1980.In 1952, Prime Minister Alexander Papagos chose Karamanlis to be his public works minister. 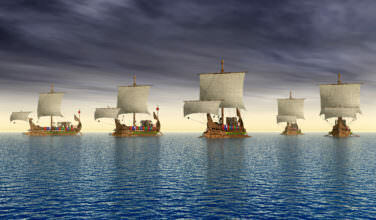 Karamanlis developed a plan to build a system of roads and stimulate the nation’s tourism business. These efforts greatly boosted the country’s economy. Papagos died on October 4, 1955, and Greece’s King Paul asked the popular Karamanlis to succeed him. The Parliament approved this idea. Karamanlis accepted the offer, and he created a new political party, the National Radical Union Party, for his administration. As prime minister, Karamanlis kept building infrastructure, and he worked on improving Greece’s schools and agricultural standards. He also strove to establish relationships with other nations around the world. However, Karamanlis resigned his office in June 1963. In part, he took this action because he and King Paul couldn’t agree on how to divide power. He then moved to Paris, the city where he would live until 1974. 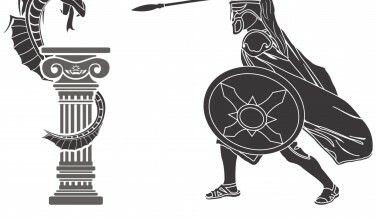 In 1967, a group of Greek military colonels staged a coup, and they took control of the government. Until 1974, the country was ruled by junta. When that regime collapsed, Karamanlis returned to Greece and immediately became prime minister; his calm presence helped to reassure the Greek population. Karamanlis wanted to make sure that Greeks could count on democracy, civil liberties, and the rule of law. In addition, Karamanlis saw to it that Greece joined the European Economic Community, the precursor to the European Union, which he believed was a key to national prosperity. He was elected as president in May 1980, and he kept up his campaign to build alliances with other European nations. 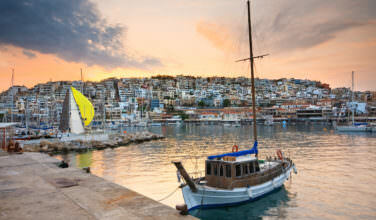 However, he resigned in 1985 after Prime Minister Andreas Papandreou publicly declined to support his reelection bid. Nevertheless, Karamanlis chose to seek another term in 1990 and won. Karamanlis died on April 23, 1998. Although he never had children, his legacy lies in the democratic freedoms that the people of Greece enjoy to this day. He was active during one of the most turbulent political time periods in Greece’s history and his mission to promote democracy and civil liberties left a lasting impression on the people. 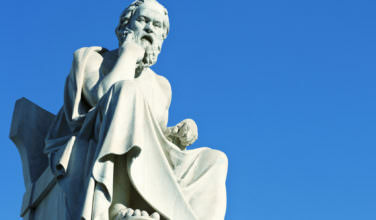 Who Were the Top Ancient Greek Philosophers?